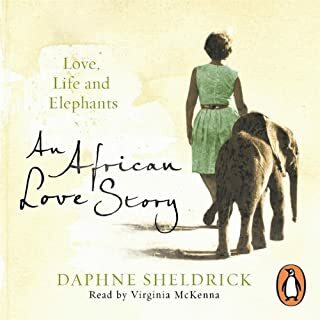 The unabridged, downloadable audiobook edition of An African Love Story, Daphne Sheldrick's touching memoir about romance, life and elephants from Africa's greatest living conservationist. Read by Virginia McKenna, the star of Born Free and the Founder Trustee of the Born Free Foundation. An African Love Story is the incredible memoir of the life of Africa's greatest living conservationist. It tells two stories. What an amazing book. So full of Emotion.